This album, full of harmonies, draws us into a world not of fantasy or fancy lyrics, but of soundscapes echoing the joyous resonations of originality from the ancient language of a First Peoples, the Khoisan. 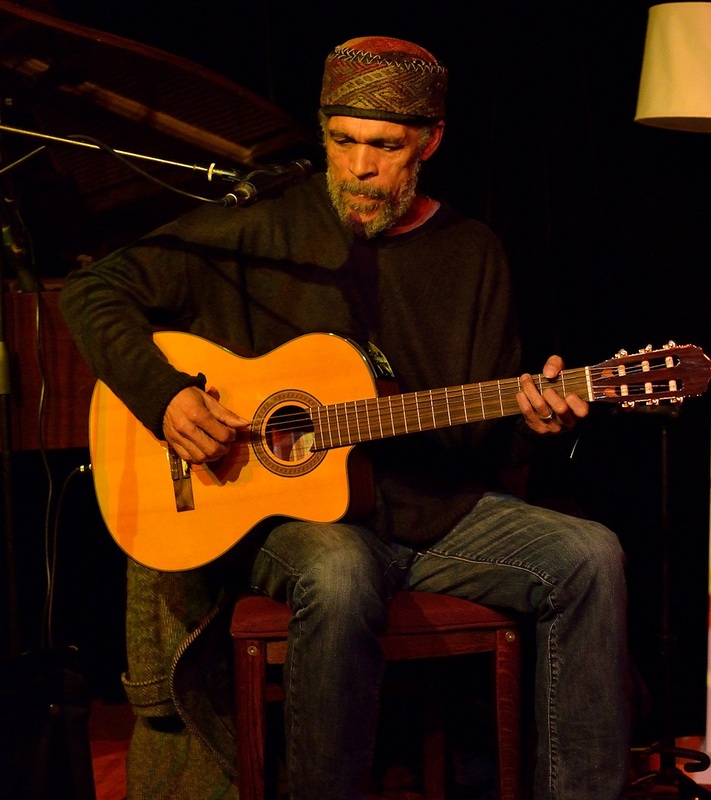 The indigenous bloodheart of multi-instrumentalist Tony Cedras, born in CapeTown in 1952, an early mover in the Cape jazz scene, then long exiled overseas and active in the anti-apartheid activities, is also known for his arrangements with the early band of Paul Simon. Cedras announces his return to his Cape homeland in this beautifully organized album recorded in Cape Town at Milestone studios and published in 2015 by Zurich Sessions Featured Artists. A block buster array of musicians matching the spirit of this Khoisan soul make up this exceptional album. The promo video on his website doesn’t show Cedras playing accordion for some reason, but gives a good feel about the other musicians that make up this album. Deeply anchored in his heart is the preservation and recognition of the Aboriginal Khoisan peoples of Southern Africa, and his album certainly raises awareness of their dwindling, yet vibrant, heritage and culture. ‘Horizons’ was written by Cedras in Botswana and recorded during his 1989 Graceland Tour with Paul Simon. It’s a song about Africa’s gift to world humanity, rapidly strummed on the guitars of Cedras and Dyers, with entrancing backing vocals. Other songs convincingly present the sounds and feel of journeying through Africa dragging South African origins along, from Elsie’s River outside of Cape Town to a Congolese ballad sung crisply by Freshly Ground vocalist, Zolani Mahola, and back to South African folkish strings of Rayelle Goodman’s violin and Cedras’ guitar in ‘Autshumao Suite,’ a stunningly joyful upbeat piece. Cedras songs move between a very danceable masqanda beat of ‘Black Brown Cheri White’ to Mahola’s crystal clear ballad voice in the churchy ‘Mother Song’. The album ends with a melodic middle eastern flair, ‘Journey to Alkebulan’, thanks to Rustin’s double bass stringing. It seemed a bit dour after the previous joyful uplifting songs, but the album’s presentations resonate long after the headphones come off. If there was ever an album to pick up your spirits and move on, this is it! Transformative. This is not background music. You sing and hum along, and can’t keep yourself from dancing! Soundcloud sources mention genres of his album as ‘African jazz, jazz, klopse, goema’. It fits into no category – I could venture to say the album is ‘traditional but contemporary South African folk’. Or better still, just plain ‘music’ that draws out the emotions, hopes and dreams! 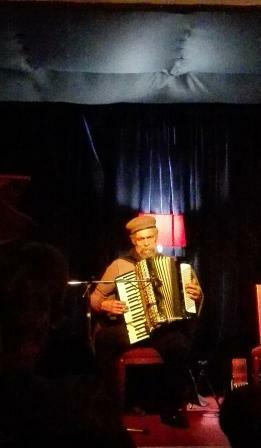 To Learn more about the South Africans performing on the album, go to Cedras’ website: http://www.zurichsessions.com/featured-artists/tony-cedras/. The Zurich Sessions is a musical get-together of some of the finest international and Swiss musicians and promotes collaboration with others.